surf camp pipa hostel brasil , escola de surf e sup na praia da pipa , paraiso tropical en brazil , stand up paddle and surf trip . 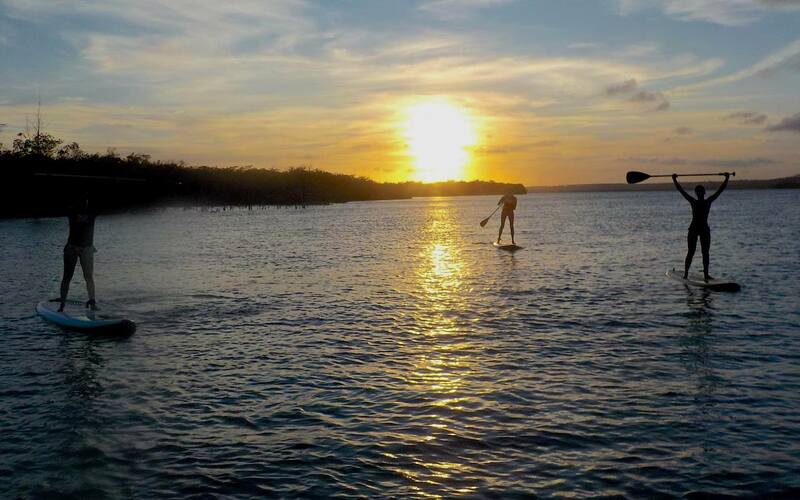 Huge question this – what makes a great downwind sup board? There are so many variables and possibilities to this question and I don’t believe that one board is better than the other, but having ridden many of them I think it is worth putting my thoughts down. If we first break things down into 2 specific board shapes that will help people recognise what I am talking about. 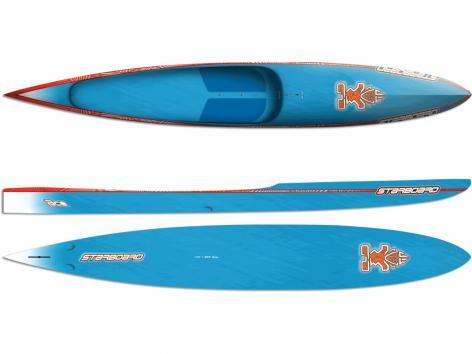 The Starboard Ace has features more likened to a race board. Very soft rails running from the nose back, a fuller nose volume, super thing tail and a flat underside. 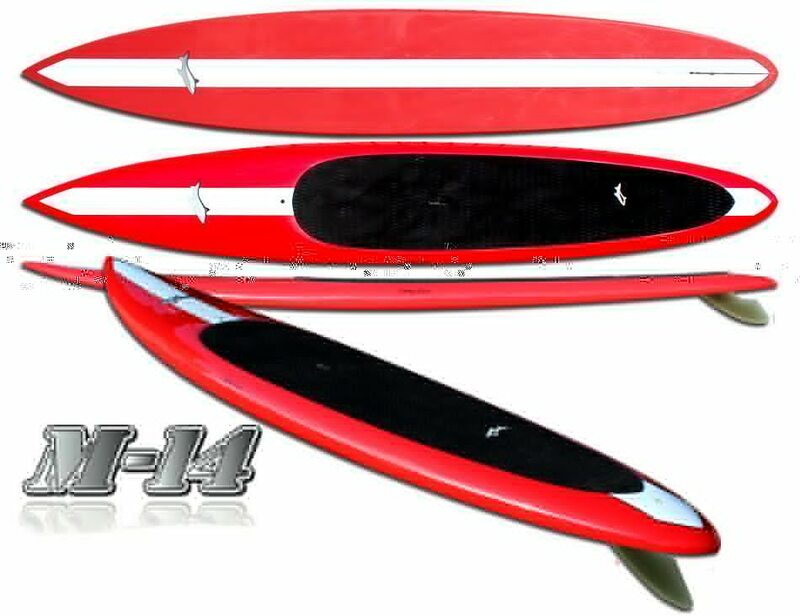 The Jimmy Lewis M14 downwind sup board is more akin to a classic gun surfboard that has been stretched out. Sharper rails from front to back, a constant rocker line and thinner nose to aid in surfing, with a round/pintail to help with steering. As I said before, I have ridden lots of boards and this little blog is not specifically focused on these 2 boards, it is just using them as examples. 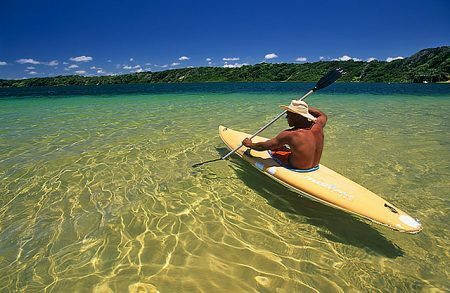 This is ultimately what downwind paddling is all about but it doesn’t have to be open ocean and howling winds. Often we will run downwind clinics and do our own stuff in winds as low as F2 with tiny, barely notable ripples. The art to catching bumps is something we talk about in our other blogs so we’ll stay on track here and discuss how a downwind sup board helps with this. Using our 2 shapes above we’ll look at the Starboard Ace first. 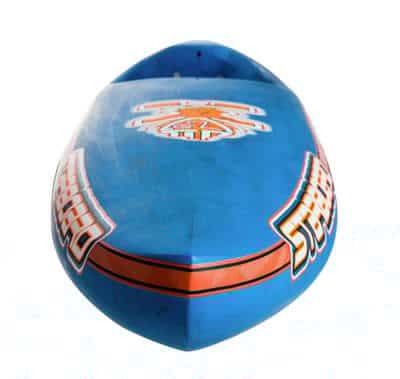 The board overall is faster through the water with the bow shape peeling open the water as it travels forward. Also having a flatter rocker line can increase speed in smaller waves as you don’t have a belly of the board creating resistance. Compare this to the M14 that has a large flat facing area pushing into the water, until it projects itself up onto the plane. The rocker line being a bit more also creates a drag effect in very small waves, but at the same time this rocker line means you don’t bury the nose and easily paddle out without diving. Round rails such as those found on the Starboard Ace do not hold the board down to the water as well as sharper rails found on the M14 downwind sup board. This can have a big effect on overall board stability. The M14 has a nice constant plan shape that doesn’t suddenly narrow at the nose or tail so you find stability when you are both in normal paddle stance and when stepping back further to get the nose up. The Ace has a very narrow tail and I found this more tricky paired with the round rails unless the board was really motoring along. The whole thing about stability is also reliant on the paddler so this needs to be a personal choice more than something someone writes. Once you are on a bump how easy is it to keep going? I have to say that the race bow on the Starboard Ace made speed and therefore glide a no brainer as it has little drag or resistance compared to the M14, but when the waves and swell got over a couple of foot then both board started to perform in a similar way. With any board that has more rolly feel such as a round rail race board you are always on your game to keep control of the tip and lean of the board, but with the M14 with sharper rails once you are on the plane it is solid as a rock and you have to really direct it. The M14 downwind sup board is a no brainer as it rides like a surfboard and you bury a rail to direct the board and can increase lean with the use of your paddle. Even when you do drop off the back of a bump the board can easily be steered with inverse rail pressure and doesn’t aggressively try to drop you. I did find the Ace downwind sup board a bit more tricky, but bear in mind it is a bit more rolly and so this takes time to dial into. Steering and tracking was very positive and really helped with a good size fin keep you directed. This is super important when using a downwind sup board and is totally dependent on board shape and rider skill. I personally prefer a slightly bigger fin as this really helps in our messy UK conditions where we are often travelling in multidirectional waves. If it was a simple case of gliding a bump in then a smaller fin is easy to use but I find they tend to let the grip go when you start being bumped left and right by cross waves. Again this is a personal choice. I really like to feel comfortable when I am out at sea and don’t want to fight or put too much effort into just standing especially in rougher water. At the same time I love the feel of a more continued glide and faster projection on to waves. As I said this isn’t a blog that looks to critique either downwind sup board as both have pros and cons. I have my favourite and you’ll have yours. Best thing to do is get out there when it is rough, windy and messy. Get yourself tuned in and used to handling rough water. Then start worrying about what downwind sup board you ride and how you can improve your own experience. One tip is to get an Indo Board. We use the Indo Board to improve balance and footwork around the board which is a massive help in controlling your downwind sup board. 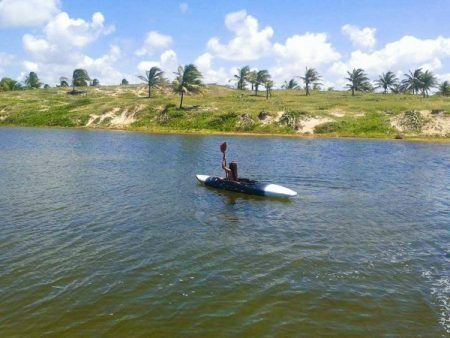 A praia da Pipa é sem dúvidas a mais badalada e visitada pelos turistas que chegam ao Rio Grande do Norte. Possui águas claras e mornas, falésias e outras lindas paisagens. Pipa Brasil assim chamada pelos Europeus que aqui residem é um dos roteiros principais de quem quer conhecer o litoral nordestino. 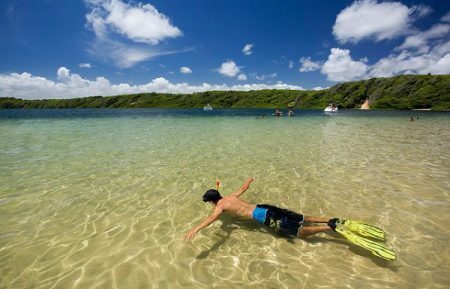 Tornou-se conhecida por ter ondas e ventos favoráveis à prática de esportes aquáticos como o surf, e logo sua fama aumentou, atraindo pessoas de todas as partes do Brasil assim como turistas estrangeiros. No ano de 2013 nossa linda Pipa, se tornou cenário da novela da rede Globo “Flor do Caribe”. É lá que acontece o maior evento literário do RN, o Festival Literário da Pipa – Flipipa – que reúne escritores locais e nacionais anualmente no mês de novembro. 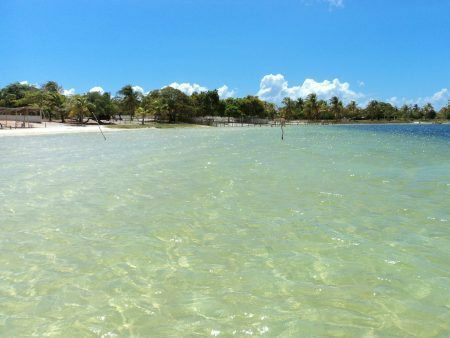 Localizada a 85km da capital do RN – Natal, você vai encontrar várias maneiras de chegar até esse paraíso tropical. Você pode ir de carro, utilizando a BR 101, passando pelas cidades de Parnamirim, São José de Mipibú por fim chegando à cidade de Goianinha onde você deve pegar a estrada que te levará até Tibau do Sul, e em seguida à praia da Pipa RN. Também há as opções de táxi, ou se você quer um transporte mais econômico existem ônibus e micro-ônibus que saem diariamente da rodoviária de Natal, localizada no bairro Cidade da Esperança. 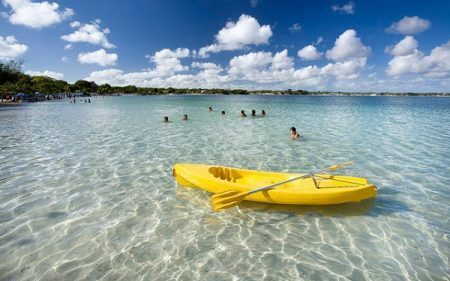 Se você quer aproveitar a Pipa Brasil e suas belezas desde o início do dia e chegar ao aconchego de um confortável quarto após curtir as badaladas que essa praia oferece, não se preocupe. Há várias opções de Hotéis em Pipa para quem gosta de investir em conforto, mas também há opções para quem procura uma hospedagem incrivel, já que la as pousadas são atrações a parte e tem para todos os gostos e estilos e são as preferidas, confira no nosso site que fala das melhores opções de hospedagem em Pipa. Caso esteja procurando se Hospedar em Pipa. Você vai amar o Portal do nosso Grupo: Pousadas em Pipa. 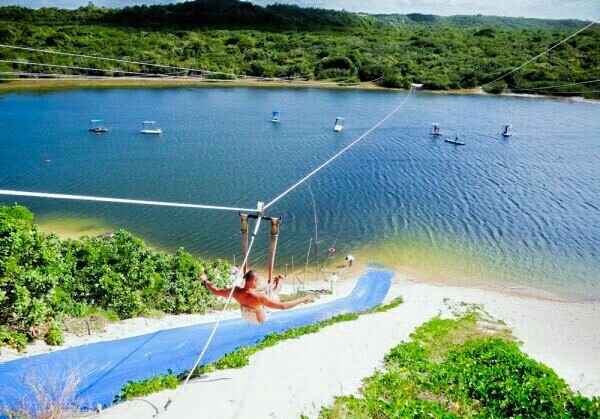 Se você quer ficar ainda mais próximo da natureza, uma opção é se hospedar nos vários campings. Leve sua barraca! Logo na entrada da praia da Pipa está o Santuário Ecológico A maior reserva de Mata Atlântica da região, possui 16 trilhas abertas ao público e você apenas investe um valor simbólico para realizar esse passeio maravilhoso nessa área de natureza preservada. Motivo de reportagem no programa Fantástico, o Chapadão, famosa falésia da praia da Pipa é bastante visitada por quem aprecia o pôr-do-sol. Próximo à praia da Pipa existem outras praias de beleza singular, como a praia do Amor e a do Madeiro. Esta última abriga a Baía dos Golfinhos, local onde frequentemente esses mamíferos se exibem ao público. Quem gosta da união imbatível: natureza e esportes radicais está no lugar certo. A praia da Pipa atrai surfistas o ano todo, mas se você não sabe se equilibrar em cima de uma prancha, não se preocupe, você pode ter um instrutor e se divertir muito. As praias mais procuradas para isso são a do Amor e do Madeiro. Além do surf este é o local ideal para prática de kite surf, praticar o sandboard nas diversas dunas, fazer caminhas ecológicas, passeios de bicicleta e mergulhar nessa inesquecível atmosfera através de voos de parapente, nas falésias da Cacimbinha. Vamos Divulgar PIPA para os amigos? Pipa Durante o dia você pode aproveitar também para conhecer a gastronomia típica do litoral nordestino. 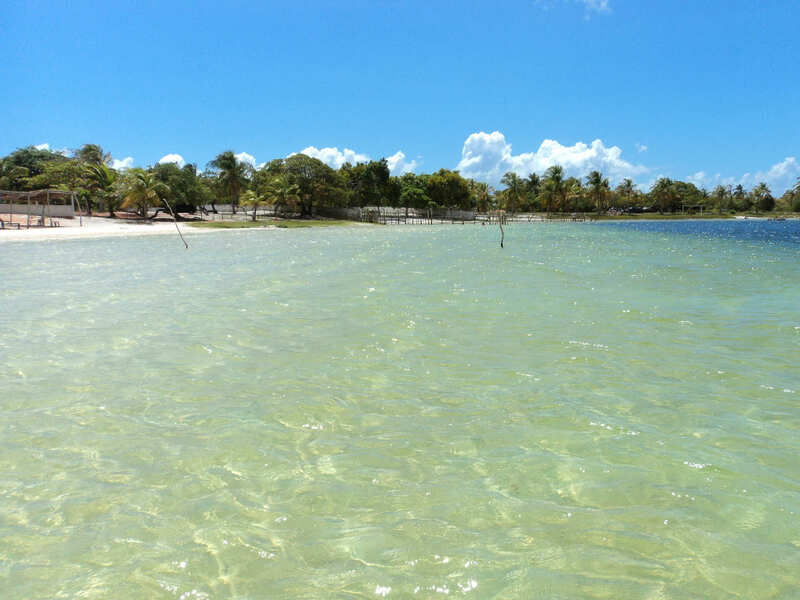 Nas barracas dispostas nas praias você vai encontrar o famoso peixe e macaxeira fritos, caldos de camarão e ostra, além da água de coco geladinha e vários drinks. Já depois que o sol se põe, ao longo da avenida principal da praia da Pipa, a Baía dos Golfinhos, ou em ruas paralelas você encontra restaurantes que trabalham com a culinária local e também os mexicanos, árabes, japoneses, além de sorveterias que estão sempre prontas para te refrescar com sorvetes de sabores inesquecíveis. Na Baía dos Golfinhos estão também os principais bares da Pipa RN. E um pouco distante dali está a tradicional boate Calangos, que vai até o início da manhã com música ao vivo de ritmos variados e a música eletrônica dos dj’s. Pipa é a mais internacional praia do RN. Muitos turistas se instalaram lá e abriram bares, restaurantes e lojas. Na sua rua principal – onde em alguns momentos é proibida a passagem de carros – você encontra desde mercadinhos a lojas de grifes, passando pelo artesanato local, e restaurantes simples e sofisticados.